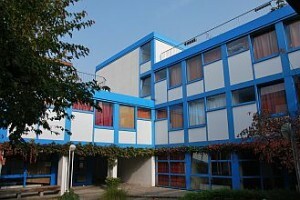 There are several residences in Nürnberg. The monthly rent comes between 115 and 170 EUR (including electricity, heating and water), depending on the house. A deposit of 130 to 310 EUR will be required. All rooms are furnished with bed, lamp, cupboard/closet, desk, chair and shelves. But linen, blankets, pillows, towels and kitchenware are not included. Coin operated laundry facilities are available. In the student house „Dutzendteich“, the students live in single rooms with shared shower, toilets, kitchen and living room. In other houses, like „Avenarius“, „St. Peter “ or “Max Kade ”, single apartments with a personal shower, toilet and kitchenette are available. We want to point out again that rooms in all student residences in Nürnberg can only be rented for the whole duration of a term, i.e. for six or twelve months and you have to pay the full rent even if you want to leave earlier. If you do not like the room in the residence, you can cancel the lease but you are obliged to pay 2 months‘ rent. You cannot get another room in a residence in this case. Apart from the student residences it is also possible to rent rooms that are privately owned. Here, you have the choice between single rooms (from 150 EUR), single apartments (from 225 EUR) and shared apartments (from 175 EUR). Private accommodation can be found in the local press or with the help of professional agencies. The earlier you arrive before the new semester begins, the easier it is to find a reasonable room. Please note that it is the student’s own responsibility to find a room, if housing other than the offered student residence is desired. It is possible to rent a room in a Wohngemeinschaft or rent a privately owned room, which may cost from 125 to 300 EUR. Cheap housing tends to get scarce around the beginning of each new term, so your chances are best if you arrive as early as possible. You can find appartment offers p. ex. in the daily newspapers „Nürnberger Nachrichten“ and „Nürnberger Zeitung“ (wednesday and saturday) or in „Alles“ magazine (tuesday and friday). Have also a look at the boards in the university buildings where you can find room or apartment offers also. Please contact the International Relations Office if you any need further help. More detailed information is available here in English and in German.